Ireland is also voting today, as part of the British general election. Politics is different on this island, however, with the issue of the country’s future relationship to Britain exercising voters greatly. The previously dominant Irish Parliamentary Party is now under threat from the insurgent Sinn Féin, whose advanced nationalism strikes a chord with many. The Irish Parliamentary Party’s candidates hope that if elected to Westminster they will be able to press Ireland’s interests there. Sinn Féin however has declared that if elected its candidates will not take their seats in the House of Commons but instead will meet in Dublin as an Irish parliament, thereby paving the way for Irish independence. Many of Sinn Féin’s leaders are still in jail after being arrested earlier this year over an alleged plot to assist a German invasion, so if elected they will not be able to take seats in either London or Dublin. Nevertheless the party hopes that it will see enough candidates elected to be able to assemble an Irish national parliament. Unionists are also contesting the election, but mostly in the north east of Ireland where they are strongest. They favour Ireland’s continued membership of the United Kingdom and their mainly Protestant supporters fear the consequences of self government in a predominantly Catholic Ireland. The Irish Labour Party meanwhile has opted not to field candidates, in order to allow voters a straight choice between the IPP and Sinn Féin. A number of Unionist Labour candidates are standing for election in the north east; this group is essentially an offshoot of the Unionists, designed to keep Protestant workers on the Unionist straight and narrow and to prevent their succumbing to the temptations of socialism or Bolshevism. Like their British counterparts, Irish women are now able to vote (if over 30 years of age and meeting certain property requirements) and run for election. 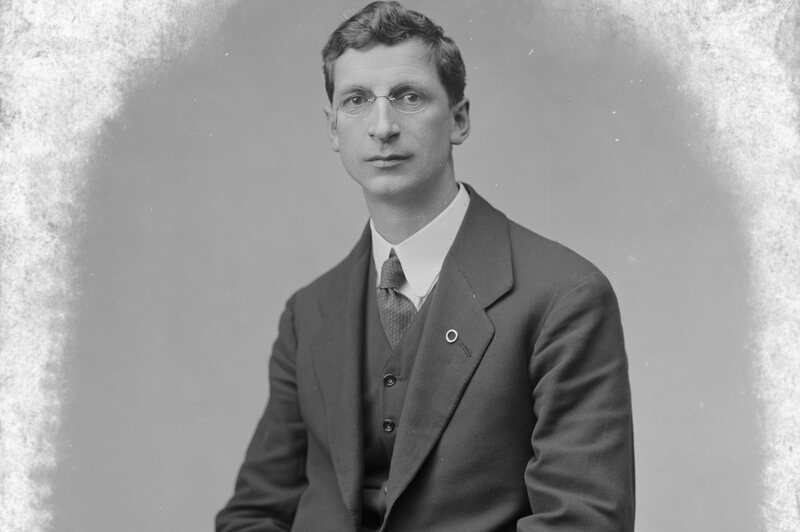 Sinn Féin is the only party putting forward women candidates, Winifred Carney in Belfast and Constance Markievicz in Dublin. 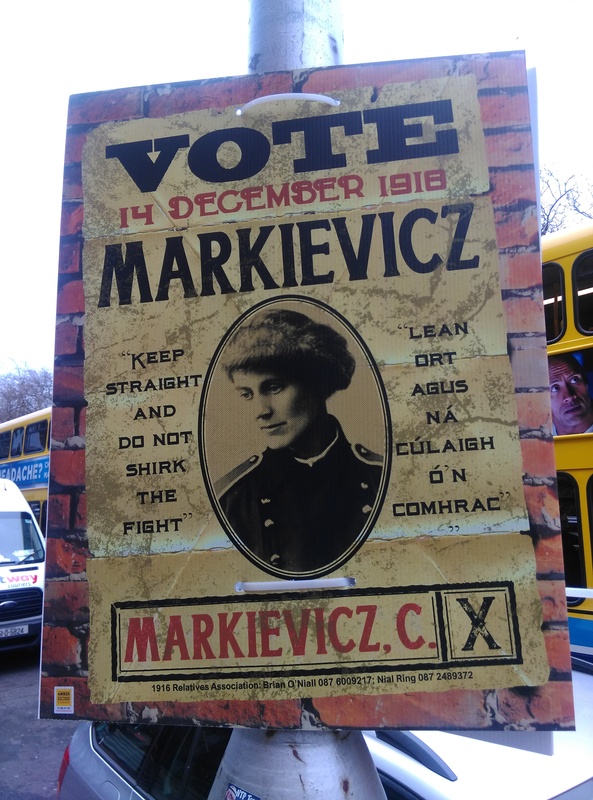 Markievicz is currently in prison in England. As with the rest of the United Kingdom, although Ireland is voting today it will not be until the 28th of December that the results are known. This is because of the large numbers of voters who are still serving abroad with the British armed forces.